Andrew and I in front of the incredible Colosseum. It’s been a while since my last blog post, but in my absence I haven’t been wasting time. Last year after completing a First Class Honours Degree in Mathematical Physics at the University of Canterbury, I took some time off to travel, before starting my next academic adventure. 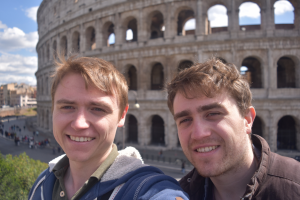 For a few weeks I travelled across Europe with my brother, visiting capital cities and soaking in the rich history they had to offer. On my trip I was fortunate enough to see castles, canals, monuments, mummies and ruins from one of humanities greatest empires. I will write about what I saw and learnt in the future, so stay tuned for that. 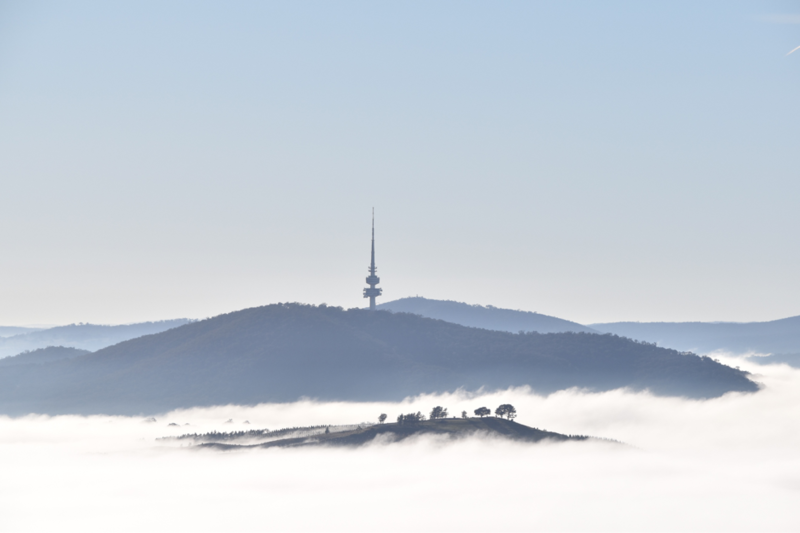 A foggy morning in Canberra from Mt. Stromlo. Following my European adventure, I made the jump across the ditch to begin a PhD in astrophysics at the Australian National University in Canberra. Fortunately for me and the other astronomers at ANU, we get to work at Mt. Stromlo with the best views in Canberra! At Mt. 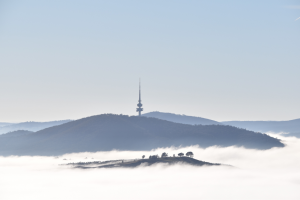 Stromlo, we have fantastic foggy mornings, stunning sunsets and a mighty troop of kangaroos. Workplace aside, for my PhD I’m working on developing an ultraviolet survey telescope. My telescope won’t be on the ground or on top of a mountain, it will be floating on a stratospheric balloon around 20-30km above the ground. It needs to float on a balloon to get above the ozone layer, which blocks almost all UV radiation. But by floating above the ozone layer my telescope will be able to perform the first high cadence (frequent observations) UV survey of the sky. Since a high cadence survey hasn’t been done before I’m lucky to be faced with an incredibly diverse project. 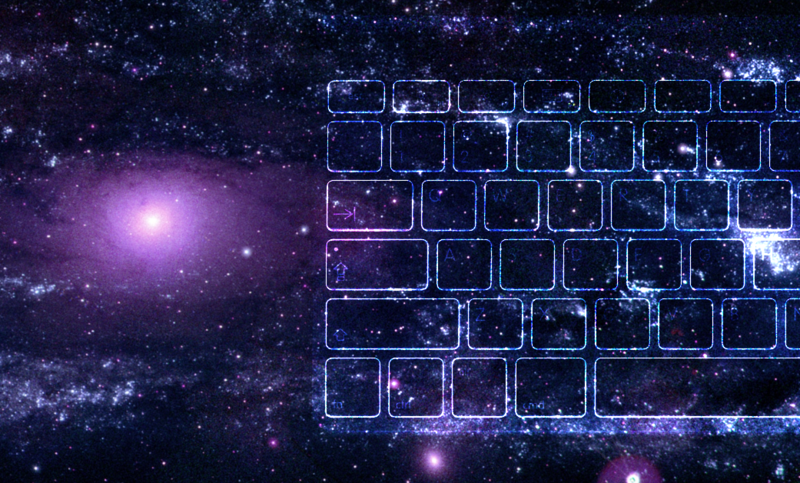 A project which aims to explore a new frontier in astronomy. Currently there are three main science cases we will explore, which encompass supernova, gravitational waves and exoplanets. For the supernova case, we hope to spot stars just as they explode. Early detections in UV will give us crucial information on the physics at play, during the colossal explosions marking the end of a star’s life. By improving our understanding of supernova, we can also refine our distance measurements in the universe to get a better idea of what dark energy may be. Supernova aren’t the only cosmic explosions we will be hunting. We will also be looking for UV counterparts to gravitational events. Last year history was made with the discovery of gravitational waves from the merger of two black holes with the LIGO instrument. In the future LIGO is also expected to detect gravitational waves from the mergers of binary neutron stars and the merger of black hole and a neutron star. With the two other GW sources, it is important to get follow-up observations to help classify the event and understand neutron stars and black holes. The light emitted by gravitation wave sources is quite complicated to model, this is particularly true for UV light. But it looks like a UV survey telescope would be able to spot light from these mergers before other telescopes. What’s more the UV light emitted from a merger might give a unique fingerprint, to work out what happened in the merger. So hunting for cosmic explosions could lead us to discovering and understanding some amazing things about the universe. There is more to the universe than just explosions, like planets for example. In the past few years we have learnt the galaxy is filled with planets orbiting suns of their own, far away. For planets that transit in front of their star, we are able to measure the size of the planet from the shadow it casts. If we measure the transit depth, or shadow, in different wavelengths of light we can begin to probe the layers of the planet’s atmosphere. With my telescope we hope to measure the UV transit depth to try and find evidence for clouds or even an ozone layer. The presence of an ozone layer would tell us oxygen is present in the atmosphere and perhaps, where there is oxygen there could be life. Hunting for cosmic explosions and alien life all rolled up in one project. It’s great to learn about such a diverse range of topics and I’m excited to see where it leads. Now that I’m settled into my new life as an Astronomer and Australian, posts will come semi frequently, so stay tuned!